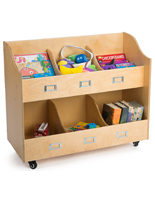 Looking for a better way to distribute and organize reading materials? These library book trucks (sometimes spelled "booktrucks") offer the perfect solution. 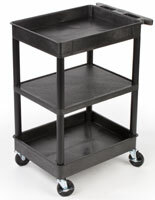 Librarians and office managers use book carts as a way to move large quantities of reading materials with the least amount of effort. 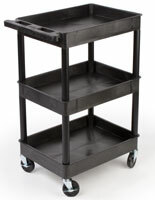 Each library cart features easy rolling wheels and can handle many novels, textbooks, and other publications at one time. This way, users can easily sort more books while expediting the process of returning the books to their designated shelves. 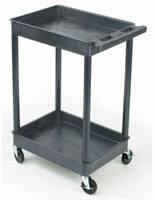 Although the carts are primarily used in libraries, there are many practical applications in office settings as well. 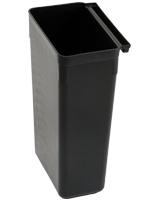 Any location that shares communal resources can benefit from a utility cart. Mailrooms frequently distribute inbound and interoffice mail using the rolling trucks. 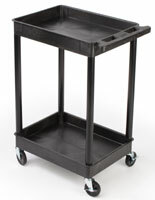 Even office supply and package deliveries can be performed using book carts. Delivering interoffice and reading materials should never be difficult and now it doesn't have to be. 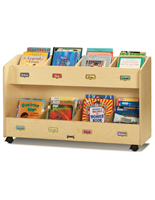 Order a book truck for a school, a public or private library, or even a correctional facility.